Instead of going out for New Year’s, I suggested we make our own feast from scratch, but a cuisine we don’t often make at home. The decision was Thai. We love Thai food, but rarely cook it at home, unless it’s from a bought paste. 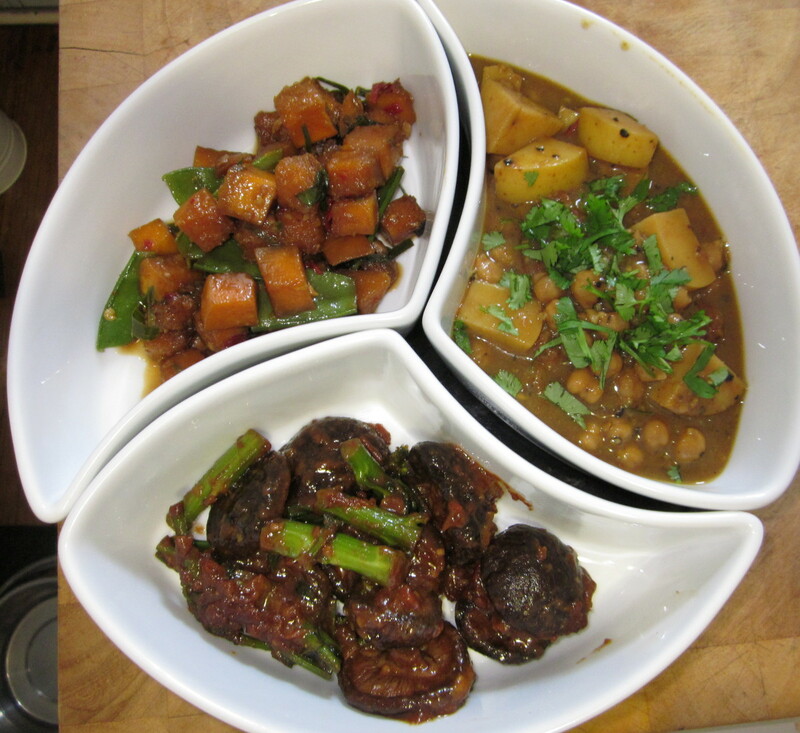 So we each chose a couple of dishes to make. 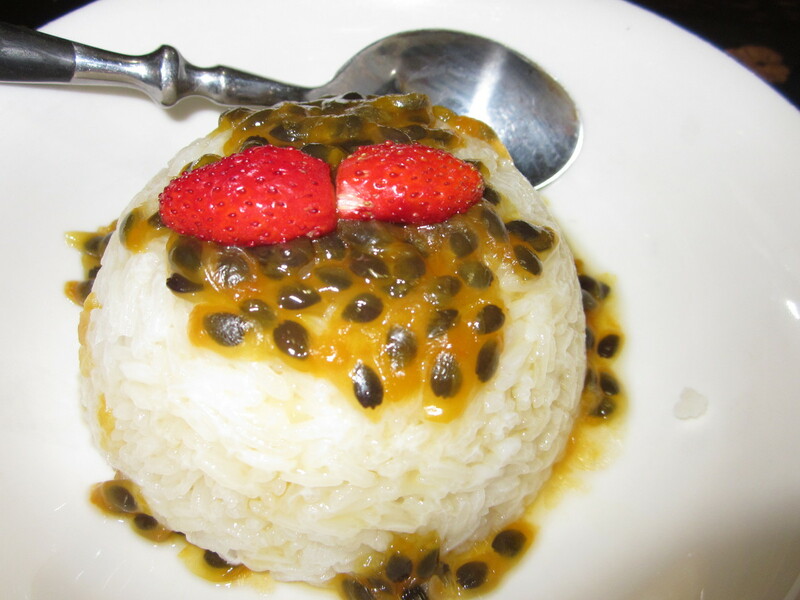 I chose a cucumber salad, chick pea curry, chilli pumpkin & snow peas and coconut sticky rice topped with passionfruit and strawberries for dessert. 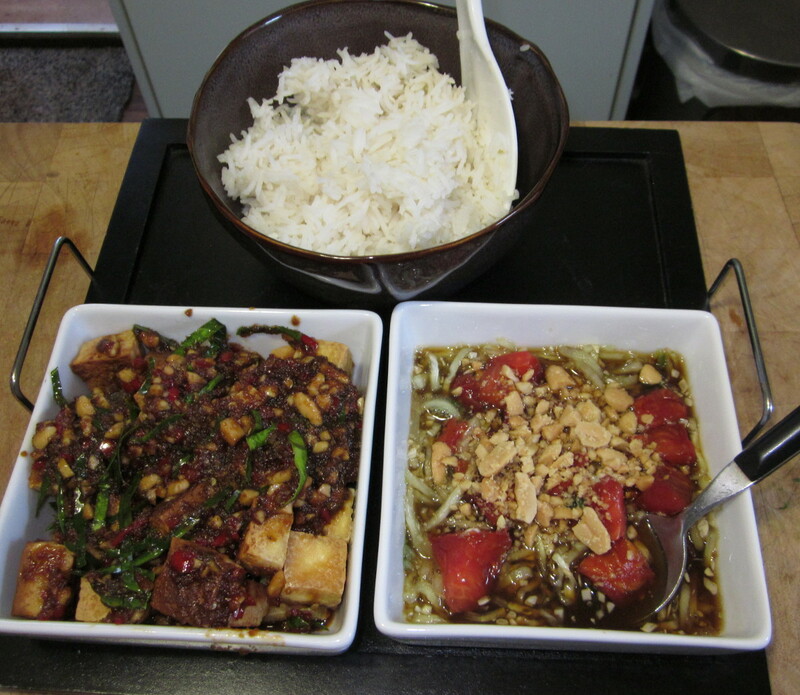 Steve chose Chinese mushrooms in red sauce and spicy fried tofu. It was a busy day in the kitchen getting prepared. I jumped in first, while Steve was visiting a friend, since most of mine was more suited for being prepared in advance. It was sheer willpower that stopped me from eating it on the spot – the freshness and flavour combinations were fantastic! Steve made the red curry paste for the mushroom dish the night before, and it was sooooo much nicer than any bought paste we’ve ever tried. This idea inspired another, one that I hope I’ll stick to, and that is to travel the world in my kitchen during 2015 by focusing on a different cuisine each month. Don’t expect it to be too authentic though! I don’t expect a lot of the more unusual ingredients to be readily available here in regional Australia, so it’ll be a more of a fusion using locally available ingredients. First up, I’m going to stick with Thai, and if our New Year feast was anything to go by, I’m looking forward to making and eating lots of different Thai dishes during January.